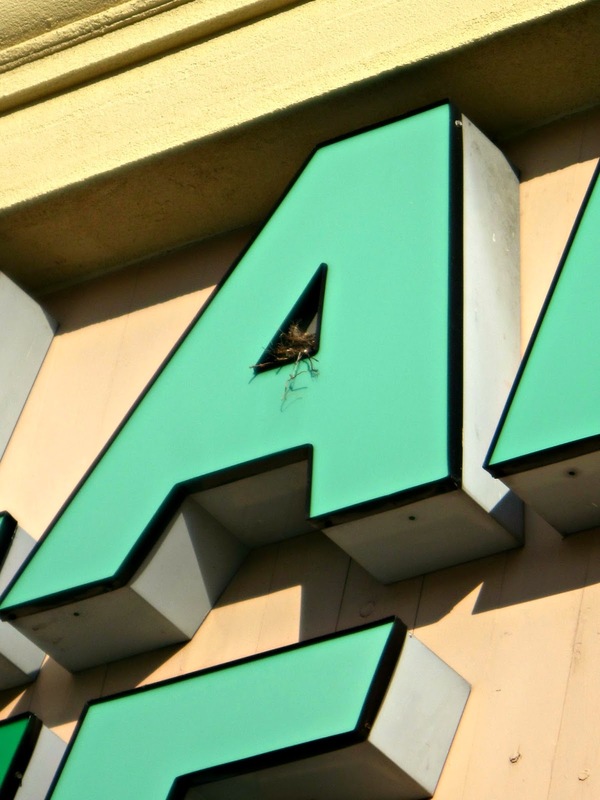 On a recent trip to Dollar Tree, I noticed little birds flitting about the letters of their sign. Do you see "A" nest? Blooming of the dogwoods. My entire life I wanted a pink dogwood. I planted them at my old houses but they did not survive. But in my new house, this spring, a very old pink dogwood is blooming! That is so cool! We found one in a Barnes and Noble sign once! They're finding space everywhere, arent' they?! Ha! Very clever - you have a quick "I" in spotting "A" nest up there. Yes, spring is here ---BUT it's supposed to get cold again tomorrow. Bah! Good eye! Happy day to you! I do! I just bought a whole bunch of plastic pieces for a framing project. My first dollar store visit. I might be hooked. I like "A" nest anywhere I see them! :-) Larry found one just outside the window of our little shed. We're hoping we can watch any activity through the window. The sparrows seem to love the Krogers store sign in my area too. Awesome! I guess there weren't as many opportunities for nesting in the word TREE. The A in dollar works, too! You are observant!!!! The birds here especially love the store overhangs and letters, meaning a long line of bird poop all along the cement in the front of the store! Must wear a hard hat to enter! My hens are laying again, so spring must really be here. I like bird nests. We have some bird houses in our trees here. Cute....definitely a sign of Spring! Unpredictable place for a nest, great! I've photographed nests in signs before but I didn't think of those puns. When I was a kid, my parents had to make a rule: "No puns at the dinner table." Guess we were overdoing it. A creative place. I saw an Owl's nest while hiking. Very cool! You are so clever; love this! !